The days are getting shorter, the mornings are getting colder and the trees are getting barer. Fall has arrived, bringing the onset of Halloween with it, and there are plenty of attractions around the UK where you can indulge your fondness of a fright, your taste for terror and your soft spot for some spookiness. Known year-round as a place of torture, gore and misfortune, the terror intensifies at the London Dungeon for Halloween in 2012. Joining Jack the Ripper and the Rat Catcher is the Dungeon’s newest resident, The Trickster. Prepare to be shaken by the mischief of The Trickster and his ability to stay just one step ahead – be sure to check around every corner! 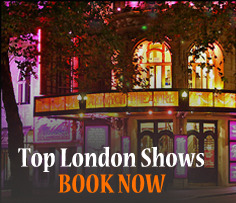 For visitors who don’t fall victim to The Trickster, tickets to The London Dungeon include three terrifying rides – 5D laser ride Vengeance, vertical drop-ride Extremis and Traitor: Boat Ride to Hell. Halloween in the UK would not be complete without a visit to the scene of some of Britain’s bloodiest and goriest tales – the Tower of London. From Simon of Sudbury to Anne Boleyn and Lady Jane Grey, the Tower of London has witnessed countless executions, murders and mysteriously ghostly goings-on. For some authentic historical horror this Halloween, make sure you get Tower of London tickets on your trip to London. To experience another London attraction where every day is Halloween, look no further than tickets for the London Bridge Experience and Tombs. Described by the hosts as their “most intimidating, shocking and unnerving show yet”, the family-friendly Phobophobia 2012 attraction is a terrifying adventure through the darker aspects of London’s history. With Jack the Ripper and London Bridge’s own Pumpkin Man on the loose, this is a guided tour not to be taken lightly. There are frights to be had for sure but younger and less brave visitors aren’t forgotten, however, as the venue also offers their Guardian Angel show (where the ‘Angels’ are minders to reassure the younger children), pumpkin carving and face painting. The Tower of London isn’t the only city residence favoured by London’s un-dead and incorporeal. If the Tower hasn’t satisfied your hunger for Halloween-themed history, head to the outskirts of London for some ghost-spotting at Hampton Court Palace. 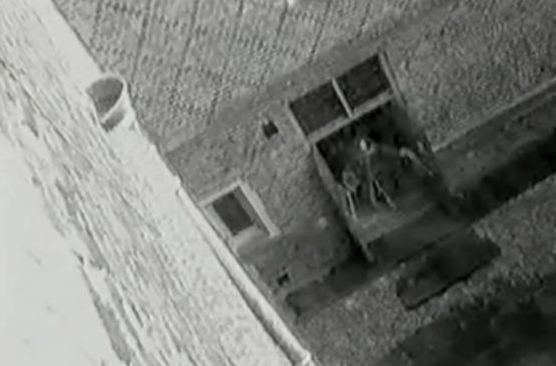 From the ‘Screaming Lady’ of the ghost of Henry VIII’s fifth wife Catherine Howard, to the so-called ‘Skeletor’ ghost whose video made headlines worldwide in 2003, there’s plenty to occupy the minds of even the most avid ghost hunter. Hampton Court Palace tickets also include access to the spectacular gardens and famous maze. Just 20 miles from central London, the Fright Nights are back for the Halloween period at theme park Thorpe Park, with the chilling Thorpe Park Penitentiary feature new for 2012. The park is transformed into a harrowing prison facility where the main feature of the Penitentiary attraction is The Passing, a dark and disturbing interactive maze where visitors are death row criminals about to be executed. Visitors will have their heads covered with hessian body bags, meaning they must navigate the maze and deal with its horrors while effectively blind, before being fully bagged and ‘buried’. The nightmare doesn’t end after burial however; will you receive forgiveness or be condemned to eternal oblivion? 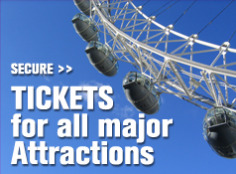 Thorpe Park tickets are available in advance from the VisitBritain Shop. Thorpe Park welcomes all visitors but The Passing is not suitable for under-12s and height restrictions apply to certain rides. Additional ticket purchase may be required for Halloween attractions. For some suitably hair-raising theatre thrills this Halloween, the long-running The Woman in Black production certainly fits the bill. Adapted from a best-selling novel and recently released as a film starring Daniel Radcliffe, The Woman in Black is a gripping and suspenseful show of death, mystery and vengeance. Currently showing at the Fortune Theatre in Covent Garden, the 7 million people who have seen the production since its launch are a testament to its spookiness! Tickets for The Woman in Black are available on the VisitBritain shop. On behalf of Great Britain, Happy Halloween! Posted on October 9, 2012, in Halloween, Things to see and do, Tower of London, UK Sightseeing, Visit Britain, Whats on London. Bookmark the permalink. Leave a comment.